Hizbullah's attack today on Israeli forces near the Shebaa Farms area contested by Lebanon highlights how the country is a fragile mosaic close to shattering. Dark days in Beirut. EPA / Nabil Mounzer. All rights reserved. Lebanon has always been a complicated jigsaw but, despite years of war, regional conflict and meddling in its affairs, it has displayed a tremendous ability to absorb tension. But the threads that hold this fragile country together are rapidly starting to fray. Lebanon faces a rapidly mounting refugee disaster, a crisis of confidence among the country’s power-sharing partners and escalating tension between some of its largest communities. It also finds itself caught up in battles between Israel and Hizbullah, while radicalisation and the presence of jihadist groups raise a whole new set of issues for the strained state to deal with. And while the steps that Lebanese authorities are taking to head off a collapse are understandable, the humanitarian consequences are dire. Over recent months, the Lebanese government has strengthened border controls, resulting in a 44% drop in the number of Syrians securing refuge in the country. These moves are understandable given the size of the influx: there are now almost 1.2m de facto refugees in Lebanon, alongside an estimated 500,000 who are unregistered. Lebanon’s total population before the Syrian crisis was a mere 4m and this mass of people is a major drain on a country still recovering from years of bloody conflict. Between 1975 and 1990, Lebanon endured a brutal 15-year war whose legacy remains unresolved and much of the damage from which remains unrepaired, not least in the country’s infrastructure. Before the Syrian crisis, the state’s capacity to provide its entire population with basic resources and services, including electricity, water, education and healthcare, was badly stretched. Today, it is strained almost to breaking point. Add to this many Lebanese people’s resentment at having to 'compete' with 1.7m refugees for basic resources, plus a decline in global humanitarian funding despite growing need, and it’s clear this is a looming humanitarian disaster. Lebanon has had a fraught relationship with Syria for a long time. 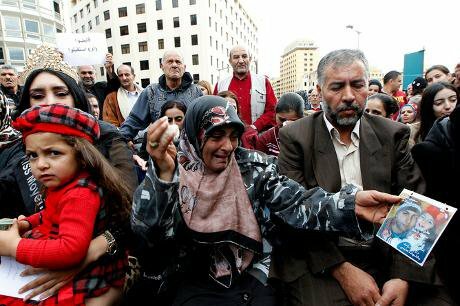 The Syrian government played a large role in Lebanon’s civil war and remained an occupying power until 2005. While this was welcomed by one part of the population, by others it was not. An influx of 1.7m Syrians is therefore reviving unaddressed, and unburied, resentments. On top of that specific sensitivity, the Lebanese are wary of large refugee influxes in general, or indeed any shift in demographics. They have a very good reason to be: the country’s delicate peace is predicated on a conflict-freezing agreement, which divides government and institutional power between the major population groups: Christian Maronite, Christian Orthodox, Druze, Shia Muslim and Sunni Muslim. This complex division of power is the reason why there has not been a census in Lebanon since 1932, for any official recognition of a significant change in demographic balance among the communities would immediately call the delicate division of power and the make-up of government into question. That could destabilise the power balance and put the country’s precarious stability at risk. But the Lebanese suspicion of refugees has its own history. The 1975-1990 war left Lebanon with a legacy of almost half a million Palestinian refugees. Israeli and Palestinian fighters were part of the war in Lebanon. Palestinian refugees bore the brunt, as a number of massacres attest. Today, some 25 years after the conflict’s end, Palestinian refugees are based largely in 12 camps around the country. They have not been integrated into Lebanese society and are a source of longstanding resentment among some Lebanese communities. Their rights are extremely limited, they have little access to employment and most do not have Lebanese citizenship—because, once again, this would cause a significant demographic shift. Syrian refugees arrive in Lebanon. EPA / Wael Hamzeh. All rights reserved. It is no surprise then that Lebanon’s public debate around Syrian refugees is harking back to its own unresolved fears and legacies of violence. This history underpins not just the recent restrictions on refugee entry but also the government’s unwillingness to set up more refugee camps, officially recognise the refugees or provide employment opportunities (such as farming collectives) that could reduce dependency on direct humanitarian assistance. 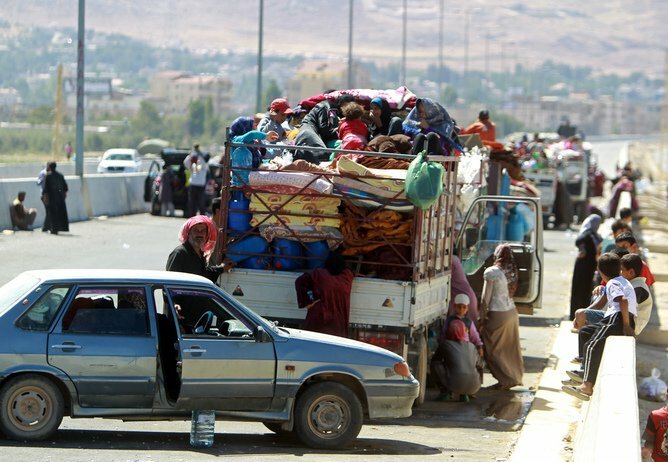 The Lebanese population’s resentment has taken the form of widespread racism, curfews and limits to freedom of movement for Syrian refugees in some municipalities. The more refugees are marginalised, the more afraid of them the Lebanese get—and the more polarised and tense Lebanese society is becoming. All this is happening in an incredibly tense neighbourhood, where Lebanon has good reason to fear the overspill of serious conflicts. In 2013, chapters of both the al-Qaeda affiliated al-Nusra Front and Islamic State were established in Lebanon. Both are increasingly making their presence felt: the 10 December attack in Jabal Mohsen, Tripoli was claimed by the al-Nusra Front and IS recently kidnapped a number of people in the eastern Lebanese town of Ras Baalbek. There are fears of IS 'sleeper cells' in Lebanon’s Syrian refugee camps—raising obvious concerns about radicalisation within the camps but also unfounded suspicion of the general refugee population. Outside the camps, the leaking border and spiralling violence lead to growing concerns that more of the Sunni community along the Syrian border could become radicalised. And, if that is not enough, the tension between Israel and Hezbollah is increasing steadily, as evidenced by today's anti-tank missile attack on Israeli Defence Forces, responding to the recent IDF killings of Hizbullah fighters in Syria, which has brought fresh casualties. Israel last went to war with Lebanon only in 2006 and renewed violence on that front is not only increasingly realistic but would look dangerously like the final nail in the coffin. Lebanon has managed a complicated local and regional juggling act for years—but all the signs are that, as Syria and Iraq continue their meltdowns, things will only get more difficult to hold together. And the prospect the collapse of Lebanon would pose for stability in the Middle East as a whole is ominous indeed.